We really like this pouch! 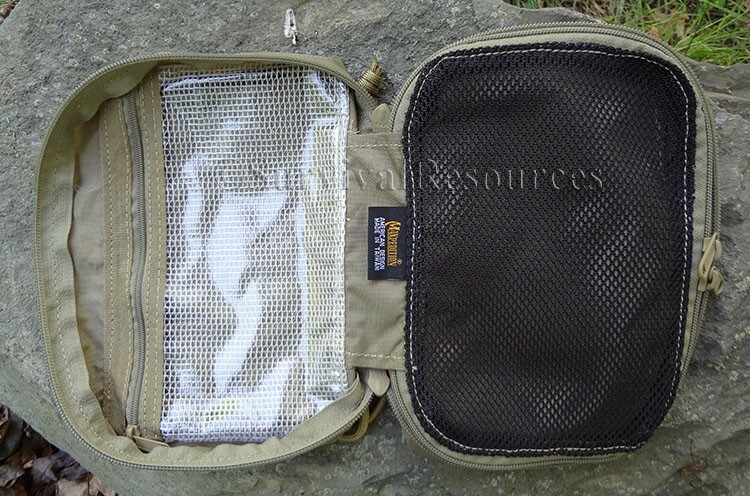 Although the Maxpedition Individual First Aid Pouch was designed as a lightweight individual soldier combat first aid pouch, it is an excellent Multi-Purpose Pouch for anything you might want to organize in a pack, BOB, suitcase, vehicle kit, etc. We have used them for organizing computer cables and accessories, a toiletry kit, a camp kitchen bag for spices, utensils, etc, and even a hypothermia shelter kit! Made of 420 Denier nylon for weight reduction and increased mobility. 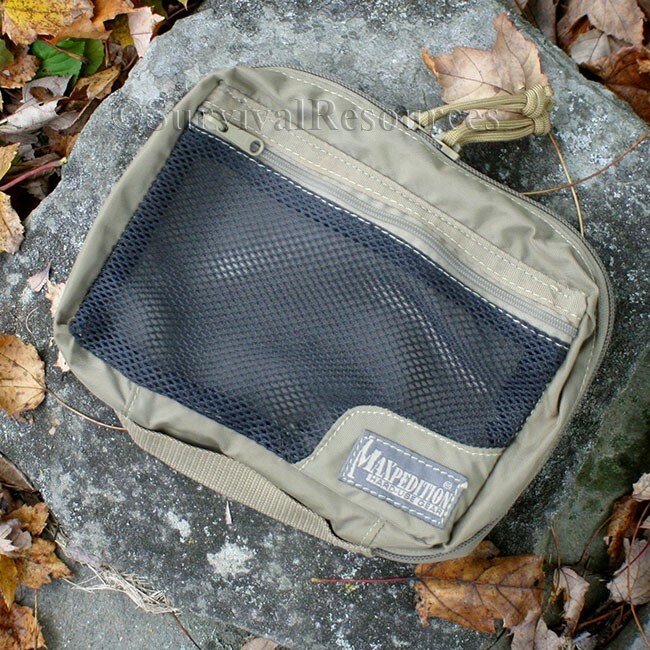 It has a clamshell opening main compartment with an internal mesh zippered section on one side and a see-thru zipped slip pouch on the other side. The front also has a zippered mesh pocket. 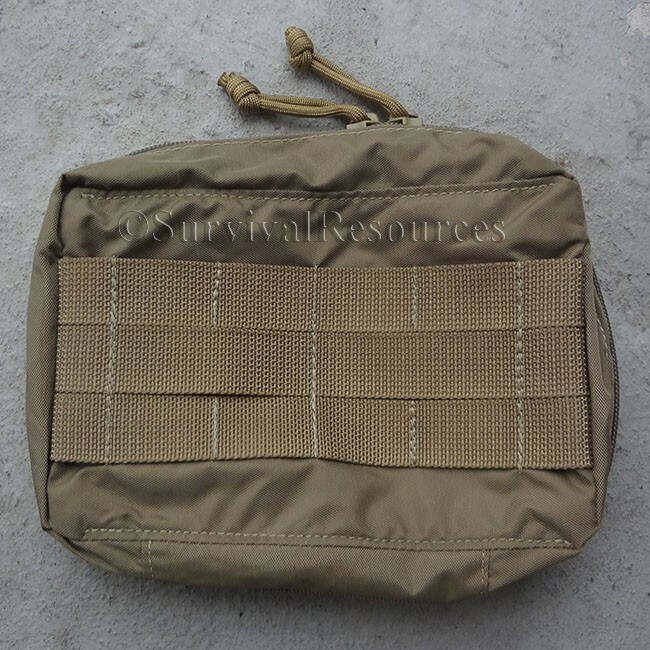 Provides a integral carry handle and the back has MOLLE compatible webbing. Measures 8" x 5" x 2.5". Available in Khaki and Black.